Your friend is going through a rough patch in his marriage, and his wife is telling him that it’s partly because they need to communicate more. He tries to talk with her more, perhaps asking about her day or talking about how work went at the office. She responds, but almost as if it were in passing. Maybe he experiments and changes the conversation to what he’s thinking about doing over the weekend or inquiring about her social plans. But she’s still not responsive, and he can’t figure out why. How many of us have experienced this? Probably more people than we realize. People often confuse communication for talking or making conversation, and this is the root cause of why many of these same people are so unsuccessful in communicating with their partners. 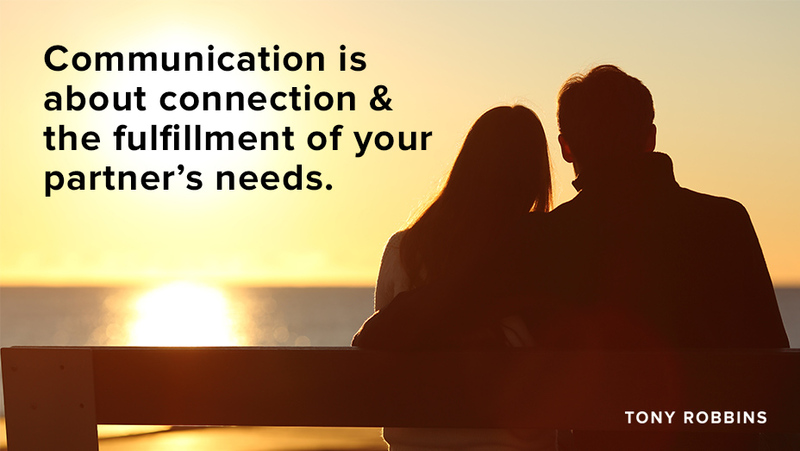 Communication in relationships, at its core, is about connecting and using your verbal, written and physical skills to fulfill your partner’s needs – not just making small talk. There are six fundamental needs that all humans share and each of us puts these needs in a different order in accordance with our core values. Once you discover which needs matter the most to your partner, you’ll know how to communicate in a way that satisfies and fulfills them. The first human need is the need for certainty. It’s this need that drives us to seek out pleasure and avoid pain, stress and emotional risks. Ask yourself these questions: How secure is my partner feeling in our relationship? Does it feel more like a gamble, or is there certainty in the commitment we’ve made to each other? Is there certainty in our standard of living? We all find safety and comfort in different things. Have you tried being open with your partner about what gives them certainty and makes them feel stable? Have you talked about what you need to feel certain in your relationship? The second human need is the need for variety. Surprising events can be scary, but they can also be exciting and fun. How we face the unexpected dictates the way we build character and our ability to do more in life. Are there enough healthy challenges in your relationship, and in the life you share with your partner, that you and your partner can tackle together to ensure that you grow together, too? As you learn how to communicate effectively in a relationship, you’ll find that variety keeps things fun and exciting with your partner. Significance is the third human need: We all need to feel unique and important. You can already feel how important this is in your relationship, right? Communication is key to this particular desire, because your partner needs to know that they are important, that you need them, in a singular way –that they fulfill your needs in ways that only they can. How do you demonstrate to your partner, not just tell them, that they are significant to you? The fourth basic human need is for connection and love. Every human needs to feel connected with others; after all, we are social animals. Knowing that we’re loved can make us feel at our most alive, but absence of love can cause pain like nothing else can. Too often we automatically say “I love you” in order to solve a conflict with our partners, and forget to show love in a real, tangible way that speaks to our partner’s needs. Reverse this pattern: consciously show your partner that you love them every day, and by doing that, your connection will deepen. Do this in any way you choose, be it holding their hand while you watch television together, or cooking dinner for them when you’re able to. One piece of advice you should always heed: Remember, love is about giving, not getting. Growth is the fifth human need, because the human experience is one of motion. We constantly endeavor to evolve along the different paths that interest us the most, whether these are emotional, intellectual, spiritual or otherwise. Your partner has the need for growth as much as you do. When was the last time you supported your partner’s growth in the areas that he or she is most passionate about? How can you continue to support them to the fullest? The sixth and final human need is contribution and giving. As Tony Robbins often says, the secret to living is giving. Contribution is our source of meaning— it determines who we become and solidifies our legacy, who we are and our role in the world. Consider what you give to your partner. Are you giving your time? Your undivided attention? The benefit of the doubt? A second chance? How do you know if your partner’s needs are being met? There is one surefire way to know if your partner is getting these six human needs met in your relationship. Listen to them, truly listen: reflect on what your partner says, and if you’re not sure what he or she means, then ask by restating their point and asking if you understand correctly. Your partner may be communicating exactly what the problem is, but if you’re not listening, you’ll miss it. Resist the pull of just waiting for your partner to finish what they’re saying so you can launch into your “turn.” That isn’t listening, it’s waiting to talk. Instead, listen with a calm, open mind, and really hear what they are saying to you. This will not only help to clear up miscommunication, but will enable you to connect with your partner on a deeper level. Before you work on improving the communication in your relationship, you need to realize that not everyone has the same communication preferences. Some people like to talk, some prefer touch and others are more visual or respond better to gift giving than an outward discussion of feelings. You probably know which communication style you prefer, but what about your partner’s? We are all unique, and we all respond to different stimuli in distinct ways, and effective communication with your partner will come from acknowledging this. Your partner may be telling you exactly what they need, but you have to be cognizant of how they convey this information to you. If there’s miscommunication, you’ll miss the opportunity to build trust and intimacy, and you’ll both feel frustrated within the relationship. Watch your partner respond to different perceptive cues over a day or two. Does he or she seem to respond most to seeing and watching? Hearing and talking? Or touching and doing? For example, if your partner is more responsive to language, tone and other auditory cues, making lots of eye contact and gentle facial expressions may not be communicating as much to them as you think. You’re sending signals but they’re not picking them up. On the other hand, if you find that you are an auditory person and your partner is a kinesthetic person, remember that saying “I love you” may not be enough: Reinforce your love with touch, and remember to do so often. To truly understand what your partner is telling you, be present, be here now: Put time aside and dedicate yourself 100% to communicating with your partner. They should know, truly feel, that they have your full attention and that they are your number one priority. It’s difficult to listen and be fully present, aware and mindful when you’re angry and stressed or are working on things that take time away from your relationship, but remember that intimacy, love and trust are built when times are hard, not when they’re easy. If we gave up at every sign of resistance, we would never progress and evolve. Seize these opportunities to grow and flourish with your partner. Resist letting a simple discussion about what’s happening now devolve into a rehash of every wrong that has ever happened between you and your partner. Instead, assess the present situation and identify what you can do at this moment. Pause and remember why you’re here, and remember that your goal, the outcome that you value, is to strengthen your relationship and build intimacy. There’s absolutely nothing either of you can do about the past right now, so let it go. Finally, be honest and open — say what you mean, and make your feelings and your needs clear. Retreating from conflict seems deceptively safe and comfortable, but it’s no substitute for trust in a relationship. Walking away from an argument is a temporary way to deal with an ongoing communication issue. When you disagree with your partner, you must be able to trust that what you say will be heard and respected, and so does your partner. 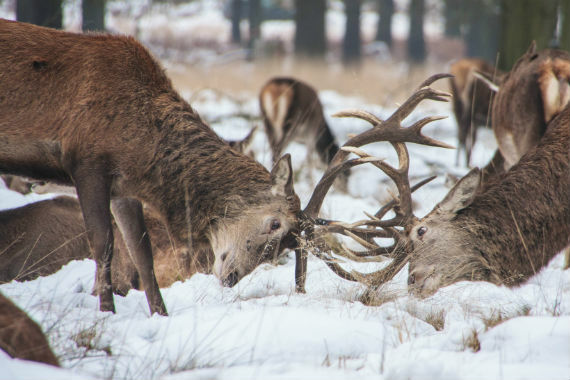 If you or your partner (or both of you) is averse to conflict, you may find yourselves burying your emotions to please each other and avoid problems. This temporary peacekeeping band-aid turns a two-way relationship into a one-way street, and that’s not a sustainable outcome. The happiness and intimacy you used to share will gradually erode, and it will take the relationship with it. Instead of ignoring issues, it’s crucial that you both learn how to communicate with each other. You know what your partner needs, and have thought about their preferred communication style, but there’s something else that affects communication in relationships: How you’re speaking. Experts on communication and voices break down the way we talk into pitch, pace, volume and timbre. The next time you’re in a disagreement with your partner, be mindful and make conscious efforts to modulate these aspects of your voice. A voice that is overly high-pitched sounds defensive and immature. Also, if you end a sentence with a higher pitch, it sounds like a question; don’t do this unless you’re actually asking a question, or you may instill doubt in your partner. Pace just means how fast you’re talking. Take a deep breath and slow down — especially when you’re disagreeing. Speak calmly and clearly to get your message across. Pay attention to volume, especially volume “creep,” and avoid competing to be heard — competition only leads to shouting and miscommunication. Being louder won’t help you communicate with your partner. In fact, if your partner is speaking, you should listen. Timbre refers to your voice’s emotional quality, attitude and tone. Pay careful attention to this, and watch for red flag timbres like sarcasm that can lead to a lack of communication and cause distrust in relationships. When things do get out of hand, break the pattern: Be playful and use humor in a way that keeps the conversation flowing in the right direction. Injecting humor into the situation can make it feel less dire and can yield amazing results for the two of you. That’s because humor helps you regain perspective and balance; it is an essential component of healthy communication in relationships. It also relieves stress and improves your physical happiness in your everyday life. The biggest benefit to laughing in this context is that it reminds you that you love just being together with your partner. It reminds you that you can enjoy your time together, even when things seem challenging. It’s important to break the pattern of hostility, hurt and retreat. For example, when you catch yourself raising your voice or being sarcastic, change your tone. If you’re using “you” repeatedly and blaming your partner, switch to “I” and “me,” or better yet, “we.” There’s no point in offloading all your relationship’s issues on to your partner. There are two people in every relationship, so don’t shift the blame to be entirely on their shoulders. Tony often shares an incredible story about Mikhail Gorbachev and Ronald Reagan that speaks to the power of patterns and the awareness needed to break them when they’re destructive. If you were born before the mid-80s, you remember the Cold War. It was a defining period of world history when two superpowers, with opposite ideologies — i.e., differences in values — confronted each other in a tense political conflict that could, at any point, tip towards war. It was not a productive relationship and in the late-80s the leaders of the two powers met in a series of talks that would forever shape the course of human history. But, the story of how Reagan, president of the United States, and Gorbachev, leader of the Soviet Union, resolved the conflict did not start as well as you might think. Gorbachev and Reagan found themselves in the middle of a heated discussion on the merits and demerits of capitalism and communism. Like any discussion on politics, it was going nowhere. Tony had the pleasure of speaking to both Reagan and Gorbachev years after, and he asked them, “What was the moment you decided for peace?” Gorbachev related that, in the middle of the argument, Reagan stood and walked away, only to suddenly turn and exclaim, “Okay, let’s try this again. I’m Ronald!” Breaking down negative communication patterns can take time, but if you’re willing to put in the effort, it’ll change your relationship for the better. 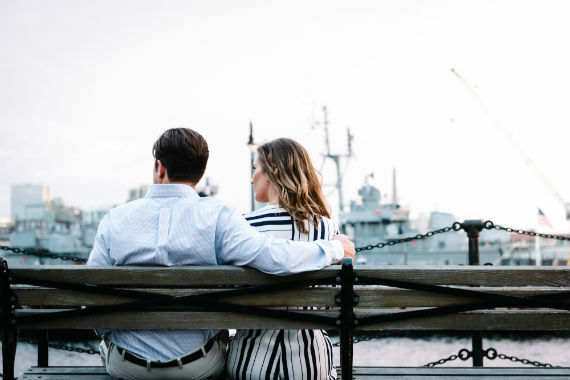 Breaking the pattern is a powerful way of reframing the discussion and bringing it back to a level where you can get to what matters: what your partner’s needs are, what your needs are and how you can both feel fulfilled from your relationship. Remember that you are together because you make each other smile. Problems are obstacles that need surmounting, and it’s easy to give up, but the truth is that these are the moments, the opportunities, to seize and move forward. Listen to your partner, discover the needs they value the most, and fulfill them. Remember that communication is key, and giving is the secret to fulfillment.